Greg was born in Boston, Massachusetts. He attended St. Joseph’s College in Maine, receiving a Bachelor of Arts degree with concentrated studies in communications and marketing. He earned the communications award, Sister Delores Sablone Award given to a senior in the communications major based in service, academic performance and promise for future professional attainment. 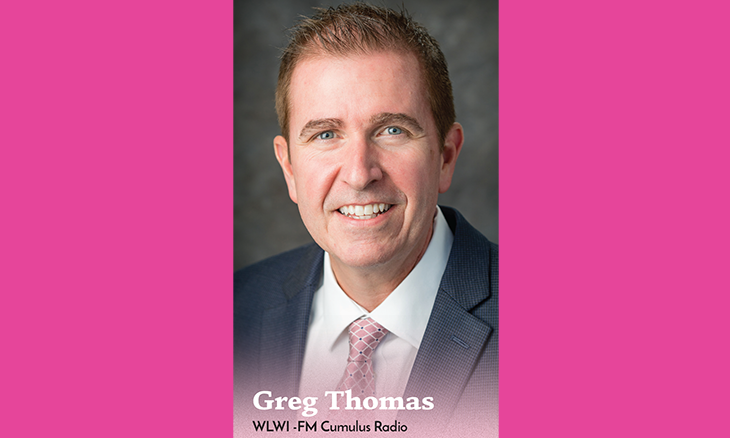 Greg’s love of radio began at an early age sitting down at his little DJ booth playing songs and introducing them with a microphone. He would record stations to play back and analyze what they did. Greg started DJ’ing parties as a teenager and landed his first radio job at 18. Nearly, 30 years later his passion for good radio hasn’t let up. He calls Cumulus’ country station, I-92 WLWI home.